So, we now affectionately refer to the baby as the bean, just made it a little more fun for us. We have crossed over into the 9 week mark and I am still feeling pretty nausious all day every day, but it does come and go and to be honest I have pretty much gotten used to it! It is going to be amazing to return to feeling great every day! Most of you know now that we are pregnant, but in case you missed any of the details, our due date is February 18th and we will not be finding out what we are having. 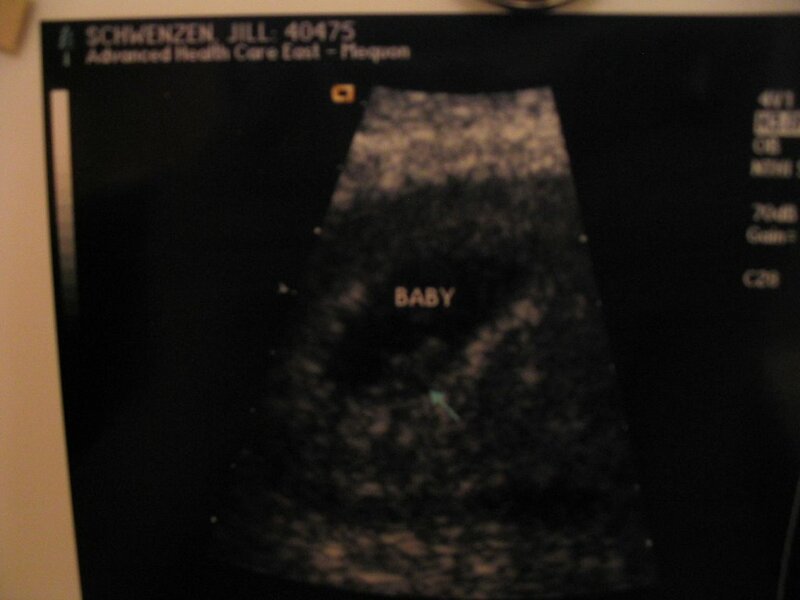 We have had one doctor appointment and an ultrasound and have seen the little one with its heart beating strong. I have already started to gain weight due to the fact that I pretty much have to eat all day long in order to keep the sickness away, but that is okay. The doctor said I need to do what I need to do to get through this time so I am just taking it day by day! I think your blog is an awesome thing, Jill. Please keep it up. I tried my own blog a while back but, alas, I got very lazy. 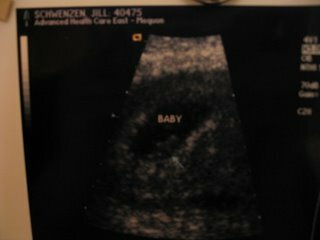 We're so excited about everything that's happening, and can't wait to take this journey with you, our dear Schwenzens. welcome to the blogging world guys! Hey there. I am friends with Josh and Anna. I love them and I was so excited to hear about your awesome time together on Josh's blog. You guys did so much fun stuff! Anyways, congrats on Bean!!! it won't just be josh and anna reading. i will too! so glad i got to meet you guys this weekend! we had tons of fun. glad i'll be able to keep up with what's going on with you guys. congratulations again! welcome to the blogging world...josh stole what I was going to say. Congratulations again on bean (Tad and I always called ours "peanut")! It was really nice meeting you last weekend. I wish you the best with your pregnancy and blogging!! Congrats on the pregnancy. Hope it goes smoothly. YAY! I love the bean already. And I can't wait for he/she to call us "Uncle Josh and Aunt Anna." Love you guys!